There have been some noteworthy examples of successful human ageing in the press recently. It was announced that Prince Phillip will be retiring from royal duties in the autumn, at the age of 96. A couple of days later we heard the sad news that 85-year-old Min Bahadur Sharchan died in an attempt to summit Everest (having successfully climbed the mountain at 76 years of age). Last week, we were also told about Bill Frankland, who, at 105 years of age, still works in immunology research, publishing regularly in scientific journals. What allows some people to be so vital in old age? Are they mere outliers, or can anyone, potentially, reach a ripe old age in good health? Chronological age reflects how long you’ve been alive, whereas biological age is a measure of how well your body functions compared with your chronological age. Chronological age is both easy to measure and has a high degree of precision. At the time of writing this, I’m 33 years, 2 months and 27 days old (or 12,140 days, including leap years). Biological age is a bit more intangible. We have population averages for blood pressure and heart rate at various ages. We also have good data on how muscle mass and grip strength tends to diminish with age. So if you are better than the population average for your age, you are biologically “younger”. What separates chronological from biological age? People often think that the two are intrinsically linked; that is, as we age, we become frailer – as our cardiovascular, muscular and neurological capacities decrease. Indeed, it is well understood that these variables, across population groups, tend to decrease with time from about 30 years of age. However, the rate of change in function differs between individuals, as measured by either physical function, cardiovascular function or neurological ability (decision making, reaction time, memory and cognitive function). Also, lower rates of change – that is, better maintenance of function – lead to better health, independence and longevity. In other words: successful ageing. If we look to animal models of successful ageing, biological and chronological ageing don’t always go hand in hand. Lobsters live a very long time and they don’t seem to show reductions in function with ageing (nature’s cruellest joke – nearly immortal, yet delicious). One type of jellyfish (Turritopsis nutricula) is biologically immortal. They can essentially “age backwards”. And naked mole rats show reduced ageing. Their chronological age differs from their biological age and their mortality rates don’t accelerate as they age, like in most mammals. Of course, humans aren’t jellyfish or subterranean sabre-toothed sausages. What evidence do we have of human functionality being preserved with age? A couple of years ago, Ross Pollock and colleagues at King’s College London examined a group of 142 successfully ageing people. Participants were cycling enthusiasts, aged 55 and 79 years. To be eligible for the study, men had to be able to cycle 100km in under six-and-a-half hours, and women had to be able to cycle 60km in five-and-a-half hours. Smokers, heavy drinkers and those with high blood pressure or other health conditions were excluded from the study. The researchers attempted to differentiate between chronological and biological age, and they did indeed tease out some interesting differences. These participants showed remarkable levels of muscular and cardiovascular function, with VO2max (the maximum rate of oxygen consumption as measured during incremental exercise) values more commonly seen in people 30 to 40 years of age. Importantly, the participants’ VO2max values had decreased with age – although not as much as in the general population – suggesting they had delayed, but not prevented, chronological age. Also, there was a wide variation in VO2max – lifelong exercise helped this functional measure but did not totally explain successful ageing. In other words, exercise is good for you but not to the same degree in different people. Following on from this work, we targeted a group of successfully aged male athletes, with similar criteria as Pollock and colleagues, and compared them with a group of older, inactive people. Both Pollock’s results and ours showed a preservation of testosterone levels and physical function in this successfully ageing group of men compared with the inactive group. We found that getting our inactive group to complete high intensity intermittent training for six weeks offset lost physical function differences and increased one form of testosterone to a degree that was closer to that of our successful ageing group. But it’s important to point out that this relatively short six weeks of training didn’t remove all the differences between the groups, nor would it be expected to. Six weeks of training shouldn’t equal a life’s effort. We’re continuing to conduct research on this model of successful ageing to see if we can establish the effect of genes, environment and training history, and gain insight into cause and effect. Do these individuals maintain high levels of physical activity and thus successfully age better? Or do they successfully age better and thus maintain physical activity for longer? We do know, however, that it’s never too late to introduce supervised exercise into older people’s lives, no matter their chronological or biological age. 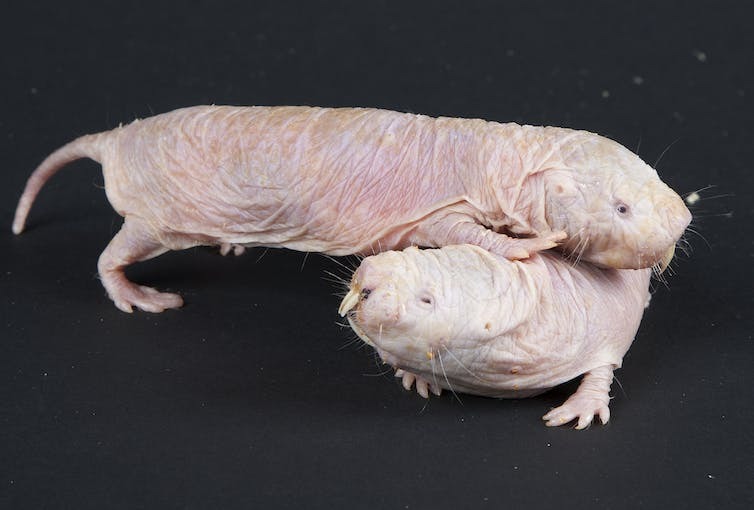 But, for the final answer as to how genetics, lifelong activity levels and environment all come together to result in successful ageing, we’ve got more work to do yet to establish the role these all play in making the naked mole rats and Prince Philips of this world.